New beginnings are often fraught not only with excitement and adventure, but anxiety and uncertainty. The road is no longer familiar, the terrain perhaps not as friendly. 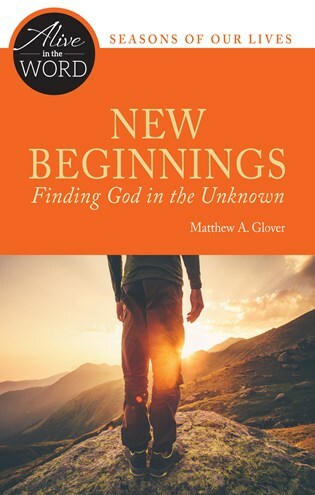 In this set of three inviting reflections, Matthew A. Glover helps us to see that the Scriptures show us how God is present in these new beginnings of our lives, even when the path forward may be unknown. Matthew A. Glover is a permanent deacon of the Diocese of Little Rock, where he also serves as chancellor for Canonical Affairs. He earned a graduate degree in sacred theology, a degree in civil law, as well as a licentiate in canon law. He and his wife Brooke are proud parents of two children. Visit AliveInTheWord.org to explore more of the books in this engaging new series.